Whether they’re simply a place to kick up your feet with a good book or provide an overnight haven for guests, daybeds can serve a multitude of purposes while fitting perfectly into your unique cottage-style space. 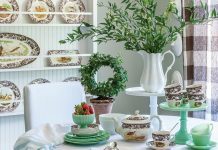 Available in a wide variety of designs, fully customizable, and easy to pack with invitingly cozy charm, they’re ideal for that corner of the home you can’t decide how to fill. 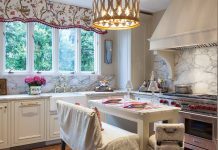 From French elegance to farmhouse chic, find out why we think daybeds are the perfect way to create your own comfy corner of the world. Thanks to their smaller size and adaptability to any style, daybeds are the perfect option for kids’ spaces. 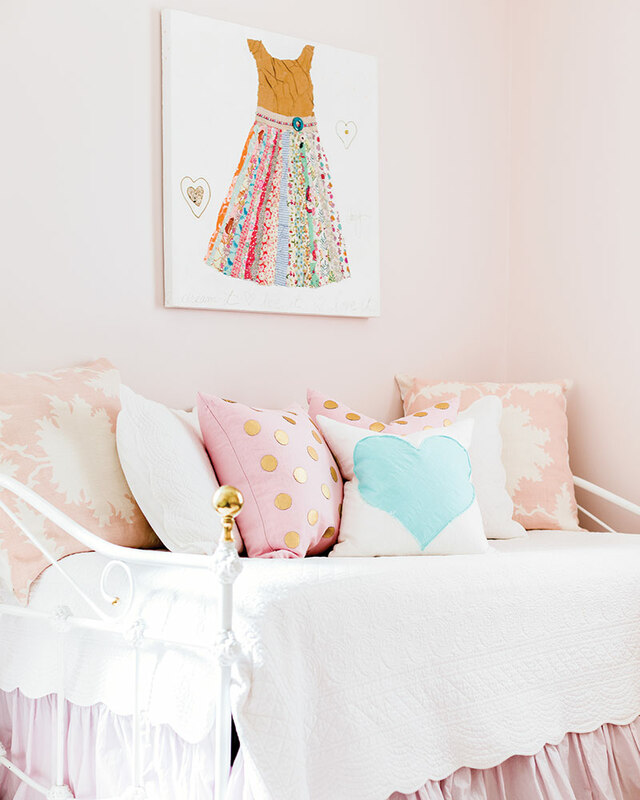 The dreamy blush tones, shimmering gold, and charming ruffles of this option create the perfect environment for a little girl. 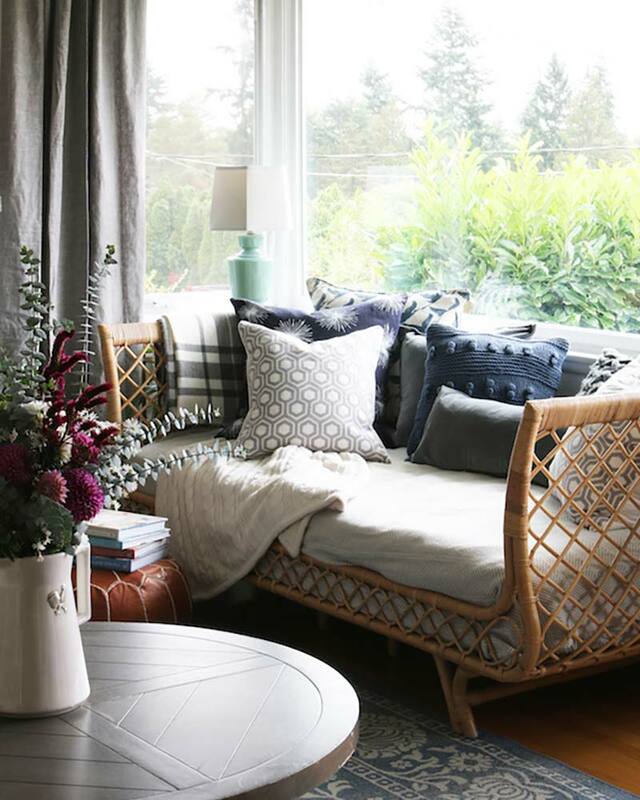 Creating the perfect reading nook is as easy as placing a daybed in your home’s coziest corner. This weaved rattan daybed is perfect for curling up by the window and enjoying a sunny afternoon. 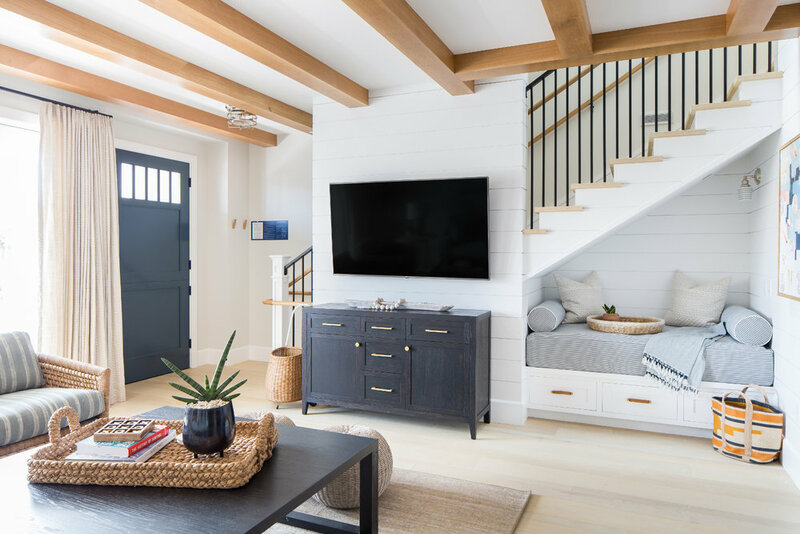 Tucked under the stairway of this Newport Beach, CA home designed by Brooke Wagner, this bright daybed shows that they’re perfect for making the most of awkward spaces. Extra storage below provides a place for a little light reading material. 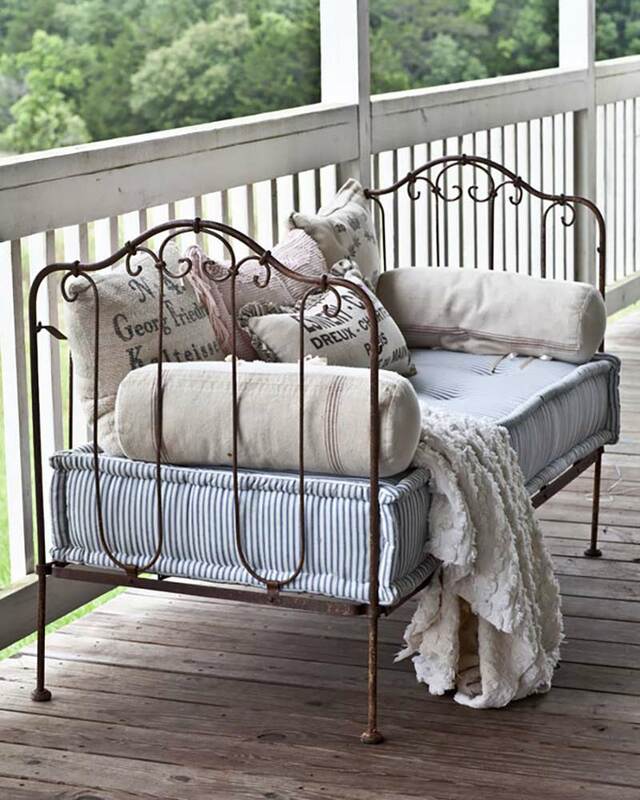 A reclaimed French crib is the perfect basis for this farmhouse-chic daybed, which provides a comfy outdoor spot for appreciating the view from the porch. Toss in a favorite throw to enjoy the space when the air is chilly.